Has your faulty car broken? Is it too expensive to repair? When it’s time to sell, CarTakeBack will buy your faulty car for the best price possible. What’s more, the process is hassle-free. We will collect your faulty car at a time and place to suit you. You get paid and we help you to sort the paperwork. Whether your car is ready to scrap or it has still got some miles left in it, CarTakeBack buys any faulty car. Simply tell us your registration and postcode to see how much you can sell your faulty car for. It’s completely free and there’s no obligation. Plus, we’ll even save your quote for seven days. Our buyers in the local area compete to offer you the best deal for your vehicle, meaning you get the highest price for your faulty car. Some car buying companies need you to drop your car off - that’s not always possible if your car is faulty. However, CarTakeBack offer car collection – we’ll contact you to arrange a time and place that is best for you. Get your car collected from work, home or any place that suits you. Whether your faulty car needs to be scrapped or not, we’ll help you to sort all the DVLA paperwork and avoid any potential fines. It’s vital that you ensure you’re free of responsibility to your old car. If you’re selling your faulty car to us, your local branch will help you to correctly inform the DVLA using the log book. If your car needs to be scrapped, we will provide you with an official DVLA Certificate of Destruction, proving you’re no longer responsible for the scrap car. Choosing to sell your vehicle with CarTakeBack means you can rest assured that everything legal will be sorted, hassle-free. When you sell your faulty car with CarTakeBack, you’ll be joining thousands of satisfied customers. 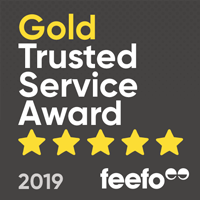 At CarTakeBack, we’re proud to have won the Feefo Gold Trusted Service award. This independent seal of excellence is based on real customer reviews and recognises companies who deliver outstanding service. Take a look what our customers say about their experiences with CarTakeBack.